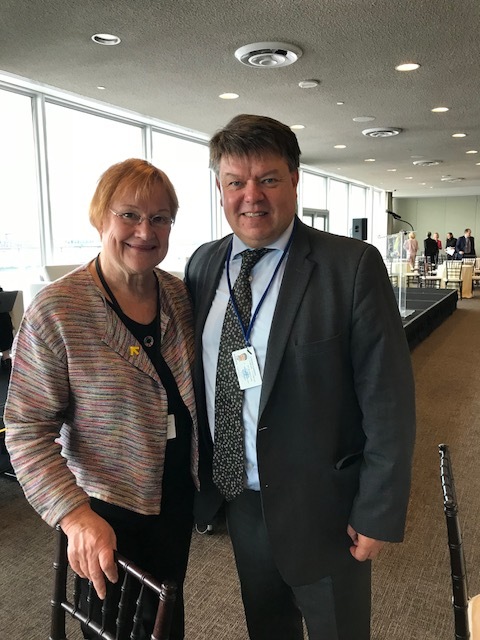 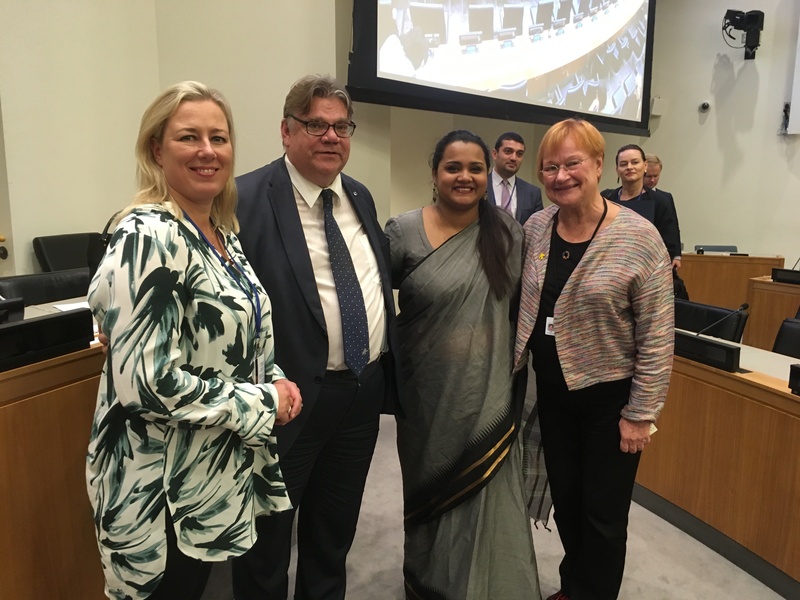 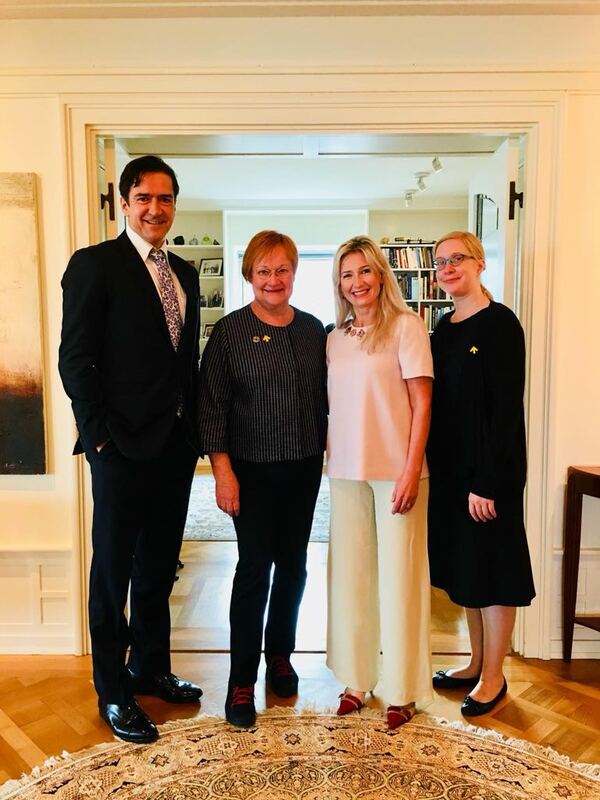 President Halonen attended the UN High-Level week in New York 24-28 September. 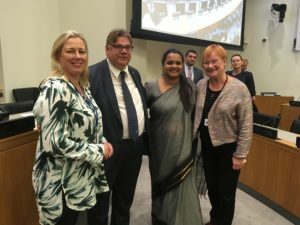 The 73rd General Assembly was opened on Tuesday 25 September. 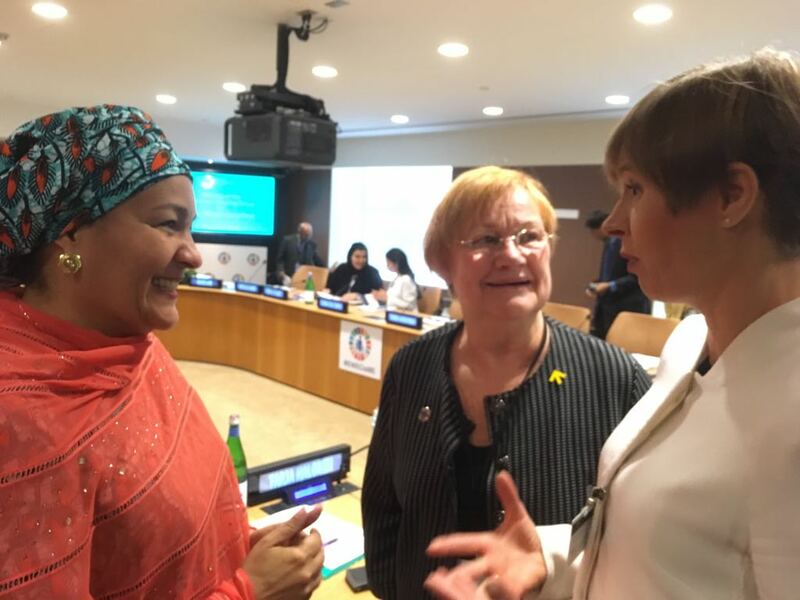 During the week President took part in various meetings and seminars regarding sustainable development and her engagements with different UN organizations. In the beginning of the week she, for example, attended to Women Deliver event that opened the UNGA week, Sustainable Development Solutions Network Leadership Council meetings and High-Level Reception of Every Woman Every Child Network. 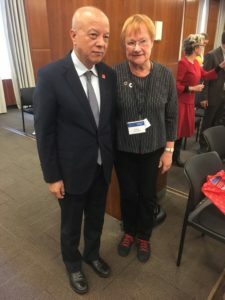 President is also a co-chair of the network. 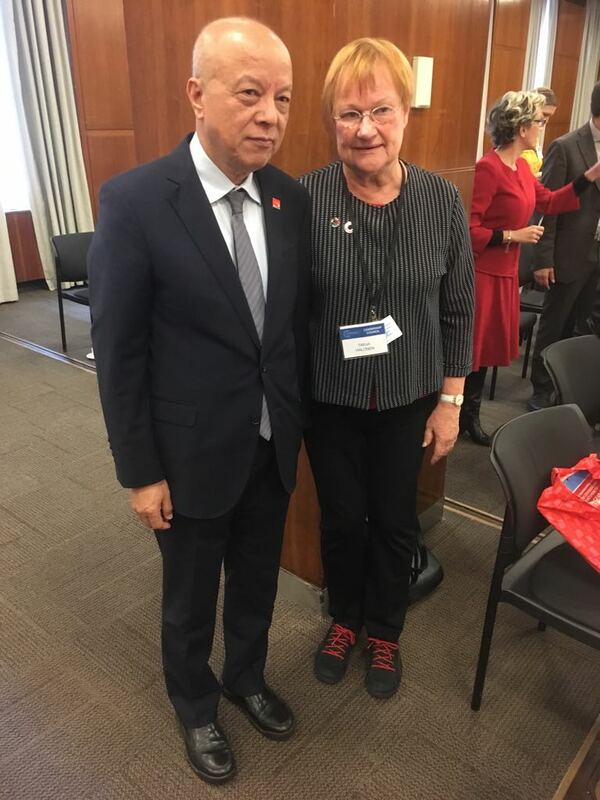 At the end of the week she participated in World Commission on Forced Replacement meeting, High-Level ministerial event and Annual Meeting of the Members of the SI Premium and Heads of State and Government. 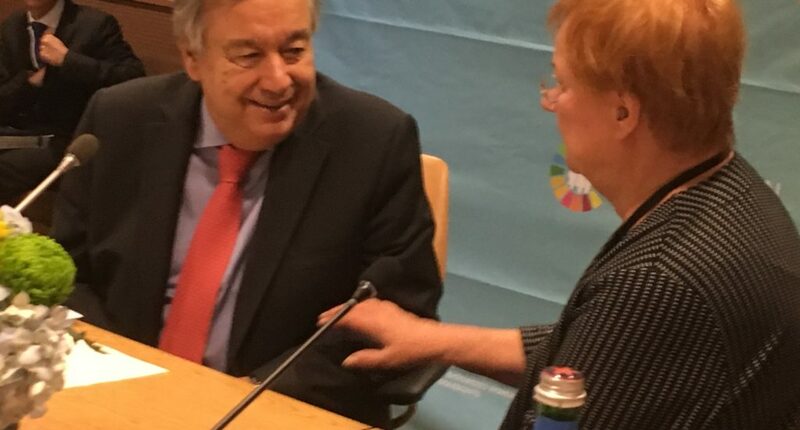 In the up left picture UN Secretary General António Guterres and President Tarja Halonen.